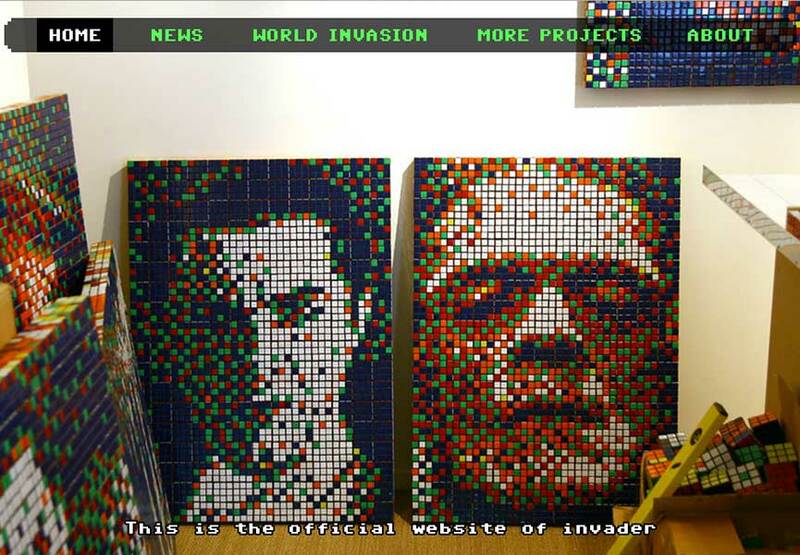 Space Invader has a New Website! For those who have been waiting for the Invader to occupy his own portion of the almighty World Wide Web, the time has come. 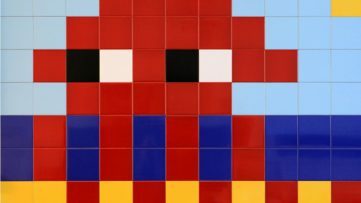 This distinguished French artist, known to the wider public as the face behind all of those tiny space invader mosaics, now has its new website. At first glance, the site is created in a way you thought it would be. It is simple, usable and pleasant, with familiar Invader aesthetics breathing out of the pixels. After his numerous travels where he tagged the European’s capitals with his colorful assemblage of tiles, this author finally decided to make a specific kind of station, so every fan, collector or potential collaborator can inquire about the anything that is related to his work. We took a stroll through the artist’s website and we decided to pass on some of the features of the site on to you. When you enter the website, it instantaneously evokes the memory of the famous game Invader got his name from. It was a clever but also a warm move for those who appreciated the game as well as author’s work. Navigation bar is standard with usual category classification. 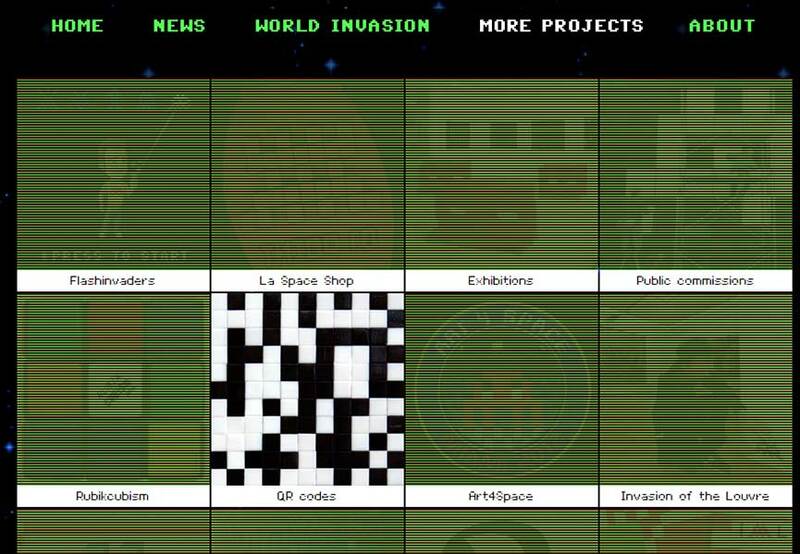 Homepage brings you different shots of the Invaders work each time you enter the website. It’s simple, memorable and invites the visitors to stay on the page a little longer. Due to the fact that it is more of a presentational page, you immediately want to explore the rest of the content and search for the stuff you need. All of the fresh info regarding the Invader and his work are presented in the News section of the navigation bar. 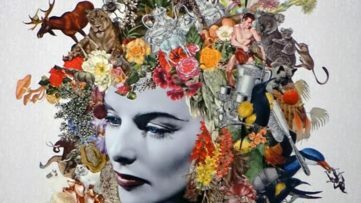 The most intriguing section is definitely in the World Invasion tab which invites you to all of the sites and cities this French artist has visited over the years and left his well-known mark. Spreading form his homeland France, to Spain, Netherland, Switzerland, Italy, Belgium and Germany, his mark reaches even the shores of South Korea and Japan, counting 3054 Invaders in 61 cities. 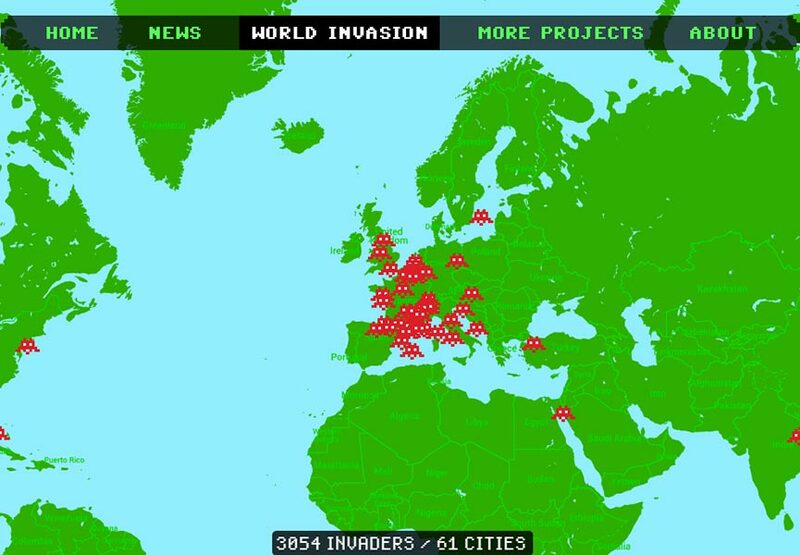 It is a map that includes all the hotspots where the Invader’s mosaic pieces have been. Besides the city tagging, Invader is involved in a variety of different projects that occupy his creative capacity. In the More Projects section you can explore all of the artist’s activity but also his past work. One of the examples is the installation, the one he made in Osaka, Japan in 2001. 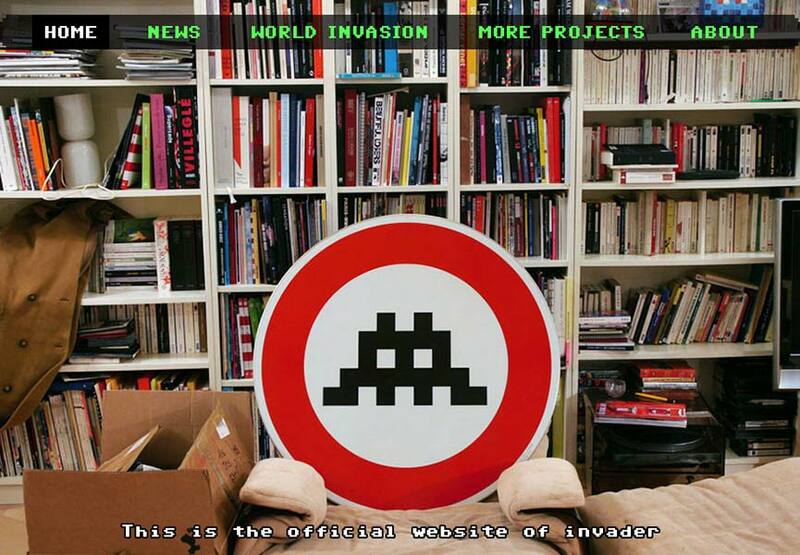 Alongside constructing installations, Invader also participated in several exhibitions and one of them, entitled Game Not Over, took place in Magda Danysz Gallery in Paris in 2003. 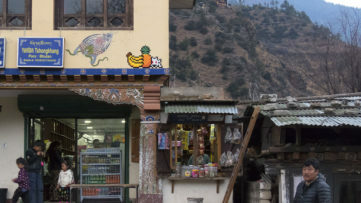 In India, in Varanasi, he made an exception in his style as he painted the walls instead of creating the mosaic. Also, following the bank of the Gang River, he portrayed various advertisements with the help of the local painter. Putting aside everything mentioned, the French artist made sure that the website has a specific interactive option included. The Flash invaders is an app for iOS and Android users and it is designed to engage the interested fans into an Invader’s artwork pursuit. With the app, user are meant to take a picture of the Invader’s artwork when they spot it and upload it in order to score points an compete with other contestants. Spend 2015 alongside us and be a part of the fastest growing art community, sign up for My Widewalls today!